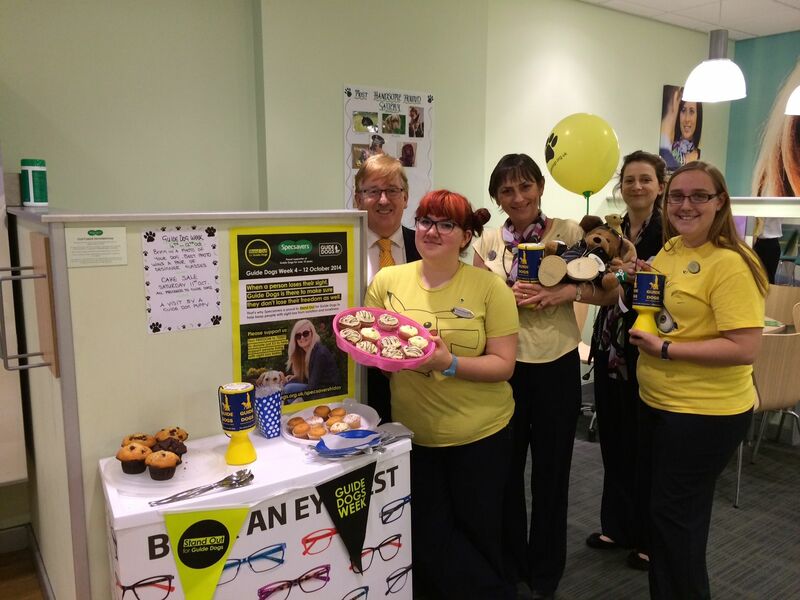 Specsavers in Winchester has raised nearly £200 for Guide Dogs For The Blind by holding various activities in-store and having a visit from a furry friend. The store hosted their own charity week with a visit from a guide dog and a bake sale. The store also donated money from glasses repairs to the charity. Store director Malini Barchha says: ‘We raised a total of £193.54 from the fundraising day. Guide Dogs For The Blind provides mobility for people who are blind and partially sighted, campaigns for the rights of people with visual impairment and funds eye disease research.